The day highlighted the strategic importance of the MICE (Meetings, Incentives, Conferencing and Exhibitions) industry to the growth of world economies … reports Asian Lite News. 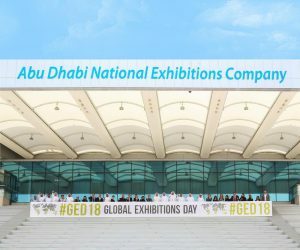 Abu Dhabi National Exhibitions Company (ADNEC) has revealed that it participated in the worldwide celebrations of Global Exhibitions Day (GED) on 6th June, highlighting the strategic importance of the MICE (Meetings, Incentives, Conferencing and Exhibitions) industry to the growth of world economies. 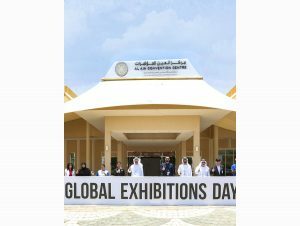 The GED initiative, which began in 2016, has seen an ever-growing number of participants and is actively supported by 40 exhibition industry associations and coordinated by UFI, the Global Association of the Exhibition Industry. 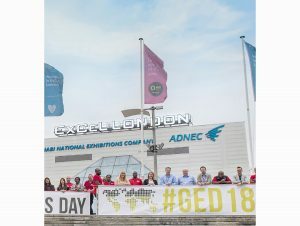 As with previous GED events, industry professionals and students from around the world have been very active in online campaigns this year, while many global organisations hosted and organised events marking the day’s significance. The year 2017 was a momentous one for ADNEC. It held 54 exhibitions, representing an increase of 25.5 percent from 2016, including 13 new exhibitions. Customer satisfaction was at an all-time high, at 94.6 per cent. During the same year, ADNEC upgraded its Wi-Fi network to become the fastest in the UAE. It spearheaded several ‘Green’ initiatives and recycled 1,049 tons of waste material. It launched its strategic ‘Innovation Lab’ initiative in 2017, generated 22,000 job opportunities within Abu Dhabi and contributed to the occupancy of 690,000 hotel nights in the emirate as a result of the hosted events and exhibitions.